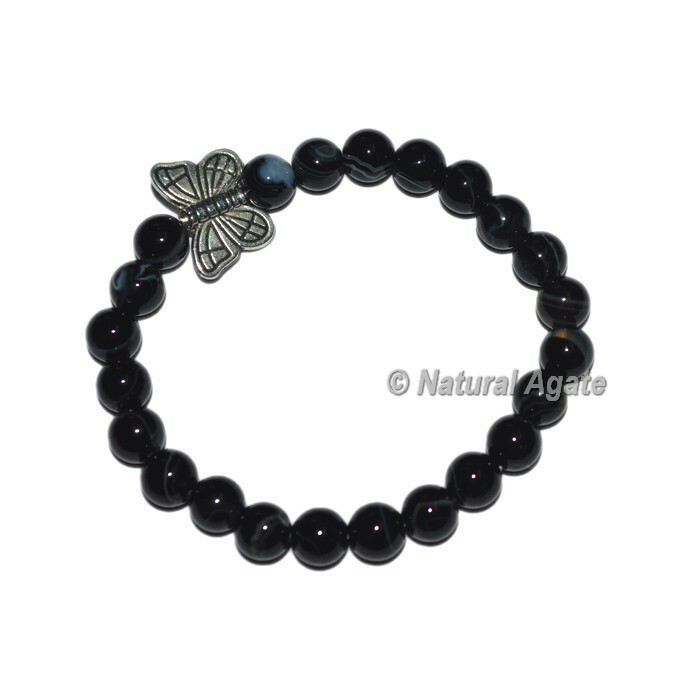 Get the best and attractive Butterfly Charm Pure Black Onyx Bracelets available in wide range. Stunning gemstone bracelet produced using dark onyx beads which gives it a snappy manly look. This amazing bracelet looks more precious with butterfly charm. Order online today at Gemstone Export.